5,000 employees to train and no time to do it? Concentrate on what you need to get done, we'll keep track of everything else. We create stunning website designs that implement the most current, innovative technologies for mobile-friendly and responsive web design. We believe your website should look great no matter what device it’s viewed on, which is why we are constantly looking for fresh and leading-edge ideas to make your web projects stand out! With over 15 years of experience developing websites in Thunder Bay, we’ve been providing inventive and cutting-edge website solutions to both local and international clients. With expertise in; eCommerce, Real Estate and community based websites. 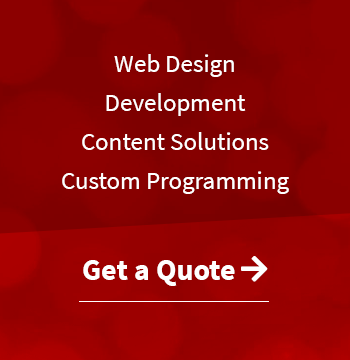 We can help plan, manage, develop and launch any of your web development projects. The online market can be very competitive! SEO, social and marketing campaigns are often key to ranking above your competitors on search engines. Our marketing specialists can assist you with building your brand, online exposure as well as provide planning, monitoring and reporting of your online advertising and PPC Campaigns. Sencia Canada Ltd. located in Thunder Bay, Ontario, provides Canadian and US businesses with complete e-business solutions and services, including; web design, custom progamming & web development, SEO, and more. Our products are designed to make your workflow more efficient, whether it’s a learning management system that allows you to train your employees, a content management system that gives you control over your website's content and files, or a data management system that lets you track and share valuable data within your company or business. We can help, we know Web Development and Design. Announcement Do you have a project? We believe managing your website should be easy, which is why we developed SIMS. SIMS is an online content management system (CMS) which makes editing your website content and files easy! In addition to SIMS, we also provide development and support to users of other popular CMS’s such as Wordpress, Joomla and Drupal. Our team consists of 20 multi-talented employees, which means that with each website project you have; web programmers, web designers, SEO specialists, copywriters, project managers, online marketing specialists and support specialists, all working together to ensure your project meets or exceeds your expectations.